I’m calling this sculpted plywood. I stumbled across it while making some lamps from 8mm plywood. Its a technique I played around with 4-5 years ago and since then I’ve applied it to different species of ply for different tones and effects.This panel is 15mm hoop pine carved with a 120 grit flap disk attached to a hand held grinder, sealed with oil. 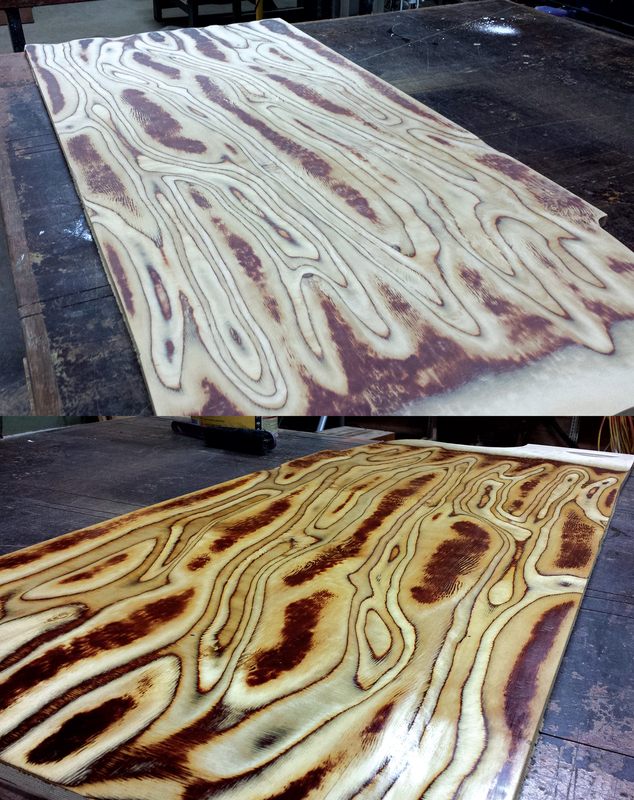 This panel will later be used for some drawer fronts for a record cabinet.